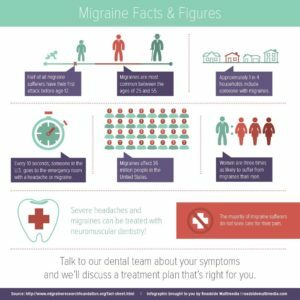 Migraines Chandler AZ | Find Freedom From Migraines and Headaches! Do you or a family member suffer from migraines or severe headaches? Migraines can affect people of all ages, including children, and can completely interfere with the ability to function. Did you know Dr. Robert F. Walker Jr may be able to help? Migraines are most common between the ages of 25 and 55. If you suffer from frequent headaches, jaw pain, and/or migraines, talk to Dr. Walker about your symptoms during your next visit. He will examine the alignment of your jaw joints, bite, and teeth. Digital x-rays, if needed, can also be reviewed and may indicate the source of your tension. If you suffer from headaches, migraines, or jaw pain, don’t hesitate to call us at 480.786.4000 to discuss your options!